Work Load, hectic day, stress, insomnia, these are normally the words used by today’s generation who are into jobs, working with corporate, MNCs, or even self employed. As we progress towards the end of the week the stress and load not only multiplies but we reach towards the end of functioning as normally as we can. Options like a one day trip, shopping, partying or relaxing are considered to be stress busters. It is the need of the hour as the stress levels of people are increasing day by day with rising competition in the markets. One can add to this list a one hour session of Spa or Massage and there would be no better stress reliver than that. 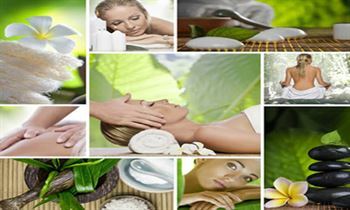 Few years ago going for a massage therapy was counted as a luxurious need but with the changing times and requirements, people from all sections are inclined towards this therapy. Not only abroad but India too is getting attracted towards therapeutic advantages of this practice. With the increasing number of Health Clubs, Hotels, Beauty centres, Spa parlours demand for the fully trained massage and spa therapist professionals has been on the rise over the years. Many youngsters with good interpersonal skills and a grasp of good conversational skills could take this therapeutic professional a long way. People who desire to help others and believe in the healing power of the human touch can be a part of this field. Professional career in massage and Spa therapy provides financial security and has tremendous potential for further growths in future. A professional massage therapist can also work as a self employed person or can work on hourly bases with a health club or hotel or can even work as a teacher with any professional institute related to the same studies. In the coming years’ career as a massage therapist in India, seems to be bright as the numbers of people requiring this therapy is increasing day by day, hence, demanding large number of professionals too.